Jailbreakers should not update to iOS 6.1.3 as it will likely remove the ability to jailbreak. 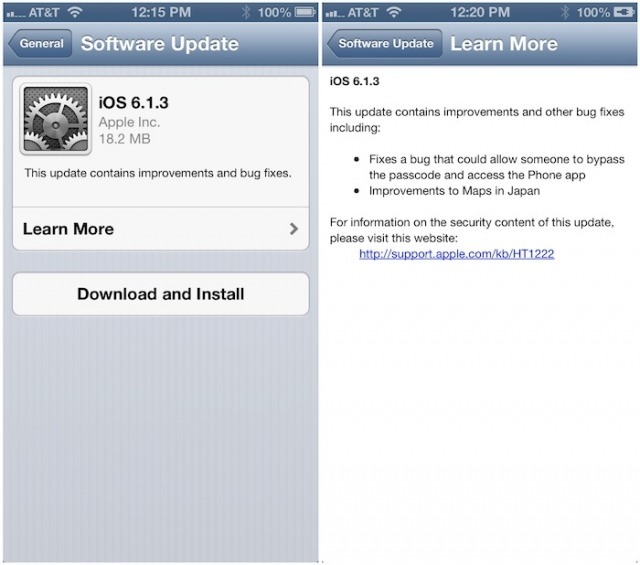 Last month, planetbeing (David Wang) revealed that iOS 6.1.3 beta 2 patched at least one of the five bugs used to jailbreak. Specifically, the flaw in the operating system's time zone settings is no longer there. It's very likely that Apple includes at least this patch if not others in the public release of iOS 6.1.3. We'll let you know as soon as we have confirmation from the Evad3rs; however, at this time you should not update. It may also be prudent to save your SHSH blobs if you haven't already. Instructions can be found here: Mac, Windows.